The Hans Hoyer G10A Geyer Series Double Horn was developed with the aid of performing artist and teacher Orlando Pandolfi of the Hackley School in New York. The G10A Series features a .468-inch bore combined with a Geyer wrap and gold brass leadpipe designed for excellent response and intonation. This horn also features a detachable, medium-throat yellow brass bell and adjustable thumb lever and finger hook for player comfort. 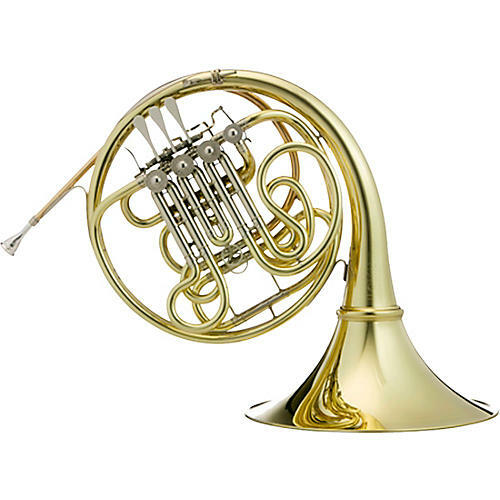 The Hans Hoyer G10A Geyer Series Double Horn includes a case and mouthpiece and is available in lacquer finish with 3B mechanical linkage (G10A-L1) or string linkage (G10A-L2).